Columbans have a tradition of inviting people to join them on mission. Columbans believe that the missionary vocation in all its forms begins with baptism and needs to be nurtured throughout life. 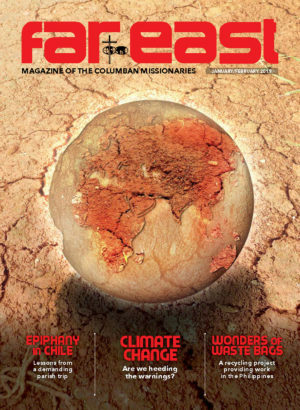 Recognising that there is a desire among people to engage in mission in new and creative ways the Columban Missionaries have developed an Invitation to Mission Programme to nurture the missionary spirit and to offer a first-hand experience of cross- cultural mission in particular. 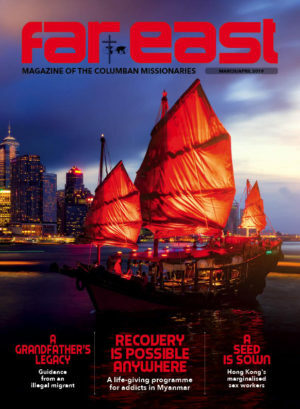 The Columbans offer a variety of short-term opportunities as a way for people to experience cross-cultural mission and inter-religious dialogue as an essential part of our call to communion, and to discover how serving the poor and working for justice are an integral part of living out the Gospel. AITECE, the Association for International Teaching, Education and Curriculum Exchange, is a Hong Kong based non-profit organisation that can help you make the connections that will make teaching in China possible. There are openings in Chinese colleges and universities for teachers of English, other modern languages, accounting, finance, journalism, law, marketing and other fields. Chinese educational institutions pay those who qualify a monthly salary and provide free accommodation. Depending on your qualifications and the finances of the local institute, you may also be provided with full or partial airfare. AITECE’s goals are to contribute to the modernisation of China, especially through the exchange of personnel, and to promote international understanding and friendship. A bachelor’s degree is required, and the volunteer must between the age of 20 and 60. Currently, short-term mission volunteers are needed in the Philippines from three months to one year. This includes opportunities to participate in a human trafficking ministry with survivors. Volunteers must be at least 20 years old and not more than 60 years old. Medical insurance will be provided. Upon arrival, the volunteer will receive a one-week orientation, and will work a 40-hour week. Vacation will be anywhere between 5 and 20 days, depending on the length of stay. The volunteer will be financially responsible for any international travel and visa expenses. Currently, short-term mission volunteers are needed in Taiwan from three months to one year. This includes opportunities to participate in migrant, immigrant and human trafficking ministry; indigenous ministry; or special education ministry. The majority of volunteers are 20 – 25 years old, and the reasons they list for volunteering include vocation discernment, a faith-based call to serve, the desire to live/work in a cross-cultural environment, or to live simply and in community. The volunteer will be provided housing, meals and local transportation, and earn a monthly stipend during his/her term of service. Medical insurance will be provided. Upon arrival, the volunteer will receive a one-week orientation, and will work a 40-hour week. Vacation will be anywhere between 5 and 20 days, depending on the length of stay. The volunteer will be financially responsible for any international travel and visa expenses. Travelling as a small group of no more than 12 participants we invite people to see and learn from a different reality, looking at faith and a range of issues based around where the Columban Missionaries live and work.